What is the recipe for starburst? Astronomers studied NGC 253 with ALMA to find out. These new ALMA data reveal a diffuse envelope of carbon monoxide gas (shown in red), which surrounds stellar nurseries -- regions of active star formation (in yellow). By dissecting these regions with ALMA, astronomers are uncovering clues to the processes and conditions that drive furious star formation. 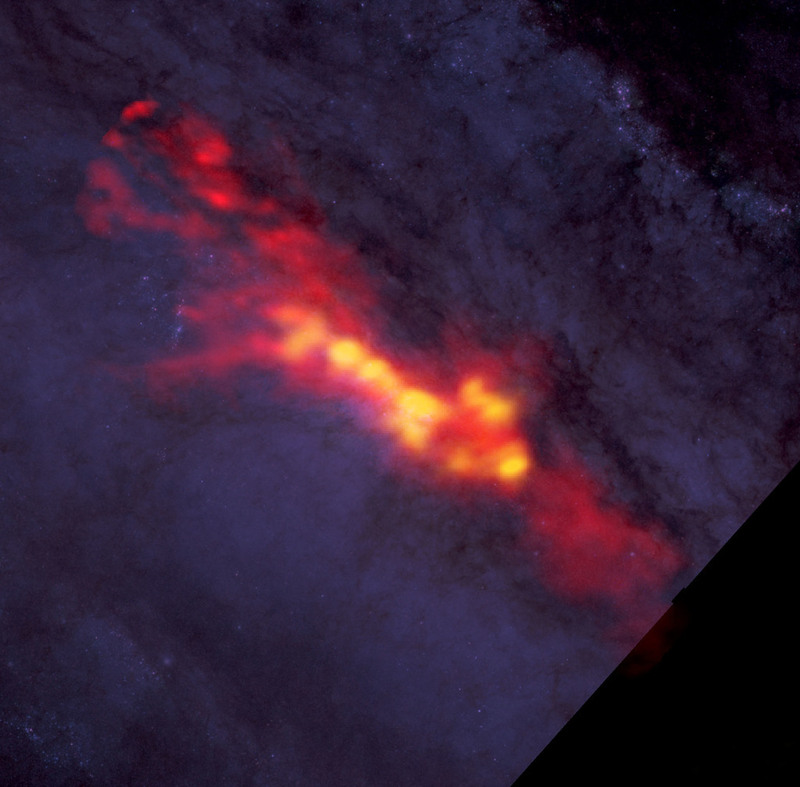 The ALMA data are superimposed on a Hubble image that covers part of the same region.